Igniting a cultural transformation with an Enterprise Collaboration Network. 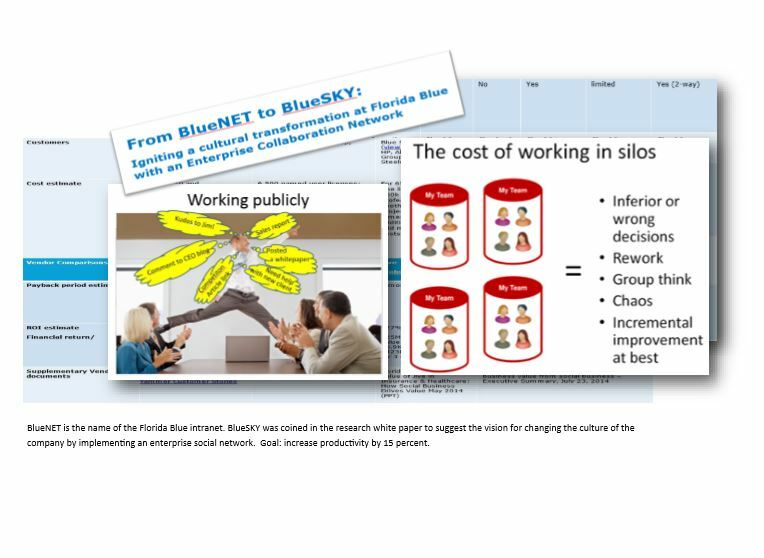 Initiated research report that built the business case for an Enterprise Social Network. The mobile, social workplace is here. 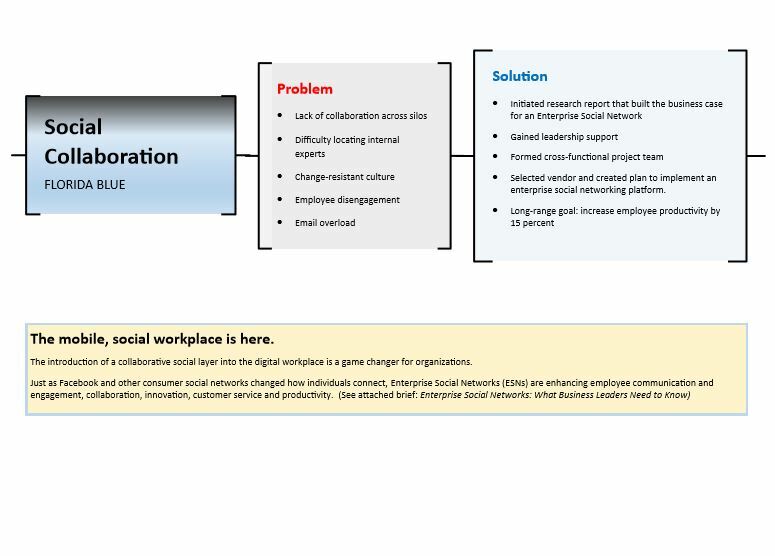 The introduction of a collaborative social layer into the digital workplace is a game changer for organizations. Just as Facebook and other consumer social networks changed how individuals connect, Enterprise Social Networks (ESNs) are enhancing employee communication and engagement, collaboration, innovation, customer service and productivity. I also wrote: Enterprise Social Networks: What Business Leaders Need to Know (pdf) as a handout for a presentation I made at the October 2014 IABC Heritage District Conference in Providence, RI.